The Baby Elephant Walk from Innovativus on Vimeo. The above footage was captured in December of 2013, when I was visiting an elephant sanctuary in Samburu, Kenya, called the Elephant Bedroom Camp. As a college student, I interned and was mentored by the renowned wildlife conservationist Dr. Richard Leakey at the Wildlife Clubs of Kenya, which is part of the National Museums of Kenya. 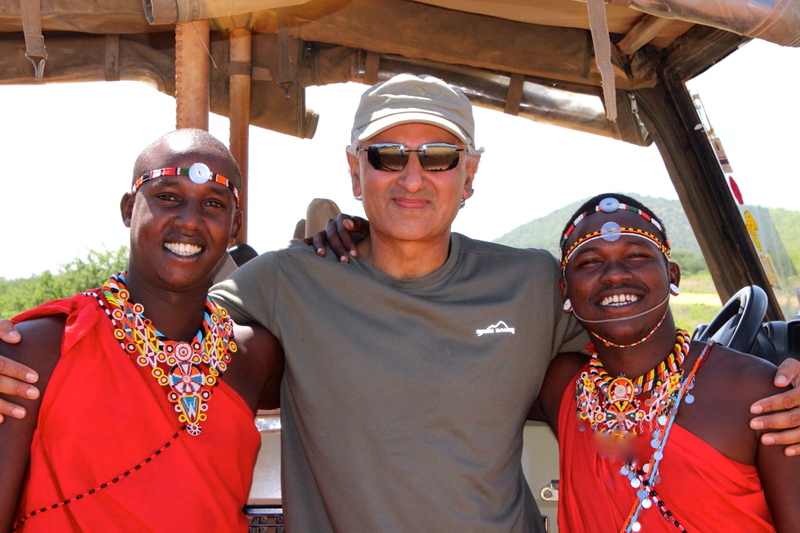 As part of my conservation work, I made field trips to remote parts of Kenya where elephants were endangered from the ruthless and rampant poaching for ivory. It is a devastating sight to see a felled and killed noble African elephant with the sad empty hollows of his face where the tusks have been brutally removed. Dr. Richard Leakey created a wildlife conservation education program for schools in these rural areas. His excellent and effective example, for which I shall always be grateful, of building school curriculum to address serious conservation issues, prompted me to work on building school curriculum as part of my doctoral thesis work at Harvard University. Dr. Leakey currently oversees the Turkana Basin Institute.